The expiloto will direct the structure that competes in Moto2 and MotoE. "We have pilots to fight for both titles," he says. The Spanish expilot Juan Olivé has been named new crew chief of the Estrella Galicia Team 0,0 Marc VDS, that this year will compete in the Moto2 World Championship and in the new FIM Enel MotoE World Cup. The structure of Spanish-Belgian competition, owned by businessman Marc van der Straten, will fight again in the intermediate category, in which he accumulates two titles (Tito Rabat in 2014 and Franco Morbidelli in 2017), and will debut in the unprecedented MotoE championship . Thus, Olivé, who retired in 2011 and after that was a test driver, sports adviser to pilots and team coordinator, begins his new challenge with the aim of "adding the third title in Moto2" . In this fight, Álex Márquez and Xavi Vierge will have the new Triumph 765cc engine. In addition, Naoya Kaneko, until now chief of mechanics of Álex, assumes the technical direction of the team leaving his place in front of the team of 73 to David García, until 2018 telemetric of Dani Pedrosa in the Repsol Honda Team. Vierge, meanwhile, will have the French coach Gilles Bigot, who remains in the Hispanic-Belgian structure after a year captaining Tom Luthi's project in MotoGP. 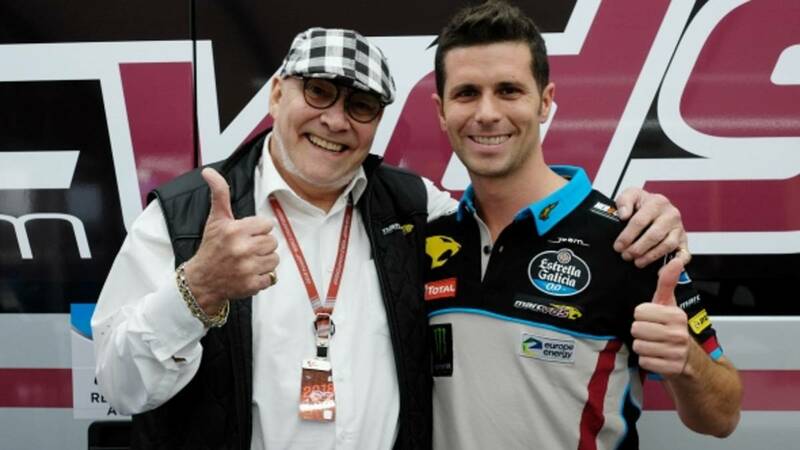 The Marc VDS will also participate in MotoE with Frenchman Mike Di Meglio, 125cc world champion in 2008, MotoGP driver and recent Bol d'Or winner in the Endurance World Championship, as sole rider. The owner of the team , Marc van der Straten, was satisfied with the agreement. "Joan knows the demands of the competition and surely, with him, the team will be even stronger in 2019", said. For his part, Olivé acknowledged that he was "very happy and excited" with the opportunity. "I really want to be able to contribute to this project the experience I have gained over the years and help the team continue to achieve success. I want to thank Marc Van Der Straten for the trust he has placed in me to lead this project We have set up a team as it has a large technical group and three pilots of exceptional talent with whom we will fight to get the Moto2 and MotoE World titles, "he said.